Description: As fresh and shocking as today’s headlines, a bone-chilling new Tempe Brennan novel of international black marketeering in fetal tissue, decades old mass murder, and contemporary homicide from New York Times bestselling author and world-class forensic anthropologist Kathy Reichs, who is hailed by the critics as the new Patricia Cornwell. Forensic anthropologist for the medical examiners in North Carolina and Montreal, Tempe is in Guatemala for a month’s service to help some families identify and bury their dead. She digs in a cold, damp pit where she finds a hair clip, a fragment of cloth, a tiny sneaker. Her trowel touches something hard: the hip of a child no more than two years old. It’s heartbreaking work. Something savage happened here twenty years ago. The violence continues today. The team is packing up for the day when an urgent satellite call comes in. Two colleagues are under attack. Shots ring out, and Tempe listens in horror to a woman’s screams. Then there is silence. Dead silence. With this new violence, everything changes, both for the team and for Tempe, who’s asked by the Guatemalan police for her expertise on another case. Four privileged young women have vanished from Guatemala City in recent months. One is the Canadian ambassador’s daughter. Some remains have turned up in a septic tank, and Tempe unfortunately knows septic tanks. Teaming with Special Crimes Investigator Bartolomé Galiano, and with Montreal detective Andrew Ryan, who may have more than just professional reasons to join her on the case, Tempe soon finds herself in a dangerous web that stretches far beyond Guatemala’s borders. The stakes are huge. As power, money, greed, and science converge, Tempe must make life-altering choices. 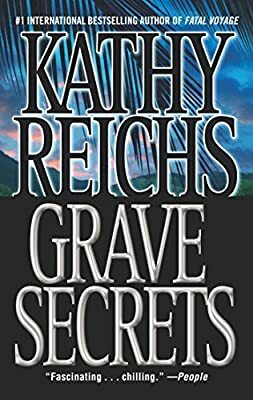 From cutting-edge science in the lab, where Tempe studies fetal bones and cat hair DNA, to a chilling encounter in a lonely morgue, Grave Secrets is powerful, page-turning entertainment from a crime fiction superstar who combines riveting authenticity with witty, elegant prose.